Initiated, developed, and administered comprehensive construction management training programs for over 140 entry level and mid-level Warranty Representatives, Assistant Superintendents, and Superintendents, as well as limited focus construction training for approximately 100 Sales Counselors. § Conceptualized, planned and implemented extensive, ongoing educational program covering a wide range of topics including pertinent trade-related instruction, communication and organizational skills, people management, time management, negotiation, and customer service, and others as well as company philosophy, policies, and procedures. Accomplished this with minimal direction or supervision. 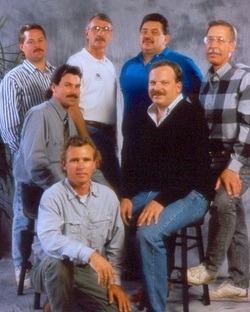 § Taught and/or facilitated nearly 1000 classes ranging in size from 1 to over 100 individuals on a weekly basis, planning and designing class curriculum, and arranging outside guest speakers when appropriate including Simpson Strong-Tie, the Engineered Wood Association, and Western Wood Products Association, among others. § Authored hundreds of pages of supplemental original teaching materials, handouts, booklets, manuals, and testing instruments, as well as numerous PowerPoint presentations related to the program curriculum.